With the World War I era coming to a close and the World War II era just beginning to ignite (without the United States), Paly introduced a new course for students for interested in the anatomy of wars and, more importantly, how to resolve them. Although the class no longer exists, a current class that draws parallels to it is U.S. Foreign Policy H, which is taught by Adam Yonkers and covers the policies that the U.S. uses in its relations with countries in Africa, Europe and Asia. Because U.S. Foreign Policy is geared toward policy making and international relations, it is distinct from “World Problems” in that “World Problems” aimed more toward how students can achieve peace in the midst of World War II. 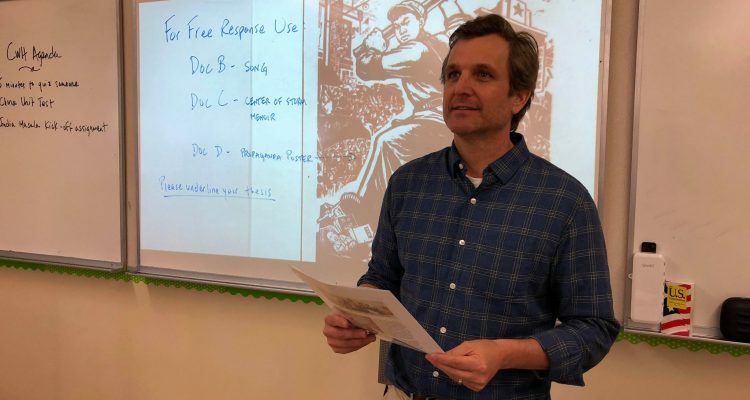 According to Yonkers, he believes foreign policy is important for students to learn because they need to be aware of how countries view the U.S. and how the U.S. impacts the world on many levels such as foreign aid, trade and the environment. Recent U.S. Foreign Policy student Jeremy Dou said he would certainly take World Problems had he been a student in the 1940s. Additionally, according to Varun Dutta, a previous U.S. Foreign Policy student and current U.S. Army National Guardsman, he would take the class because he thinks he would be better prepared if he were deployed. According to Yonkers, if he were teaching World Problems back in the 1940s, he said he would emphasize the global perspective so that students would know what the U.S. is thought of by other countries. Furthermore, he added that if he were teaching, he would try to explain the idea that wars hardly ever come to an abrupt stop.